We love New Ulm. We go there alot. Our B&B mentor is from New Ulm. So last Sunday, we took a trip to Kevin’s favorite local brewery, Schell’s. We missed the tour (bummer, so no beer samples for us), but explored the fabulous grounds and reveled in the peacock majesty! A picture perfect pose! After Schell’s we had a picnic in Flandrau State Park. Though we’ve been to New Ulm many times, we nevered realized the park is right in town. Tip: if the bugs are bad, there are big picnic tables in the screened-in stone shelter between the picnic grounds and swimming pond (we missed that until we were done eating). 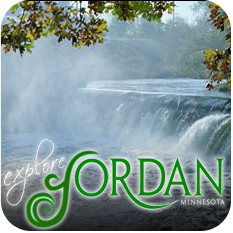 There is tons to do in New Ulm, I’ve only touched on what we did that day, and at a little over an hour from Jordan, it makes for a great day trip. Plus, I just had to share the great peacock photo!